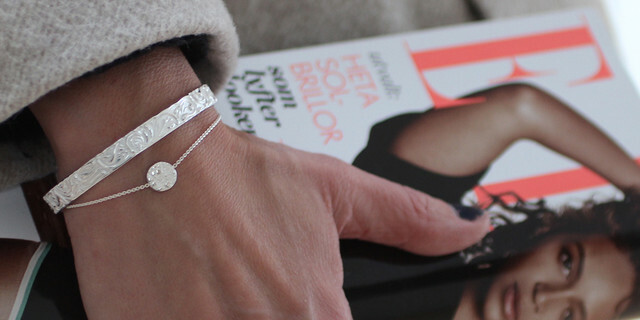 Shieldmaid is a Swedish jewelry brand, founded by Anna Odebäck in 2014. The idea behind Shieldmaid is that a piece of jewelry should be more than a piece of jewelry, and the red thread is the shield symbolizing patronage, strength and courage. Shieldmaid is a Swedish-based jewelry brand founded by Anna Odebäck. Anna was 36 years old and worked as a lawyer when her desire to create became too strong to resist. In January 2014, the company Shieldmaid jewelry was founded, inspired by stories of unusually brave and strong women from the past. These stories resulted in the brand's signature symbol; the shield. The shield represents patronage, strength and courage and is a symbol of Shielmaid's strong message of empowerment of women. Annas's wish is that women should feel strong and beautiful and that they should dare to take place and follow their goals and dreams.